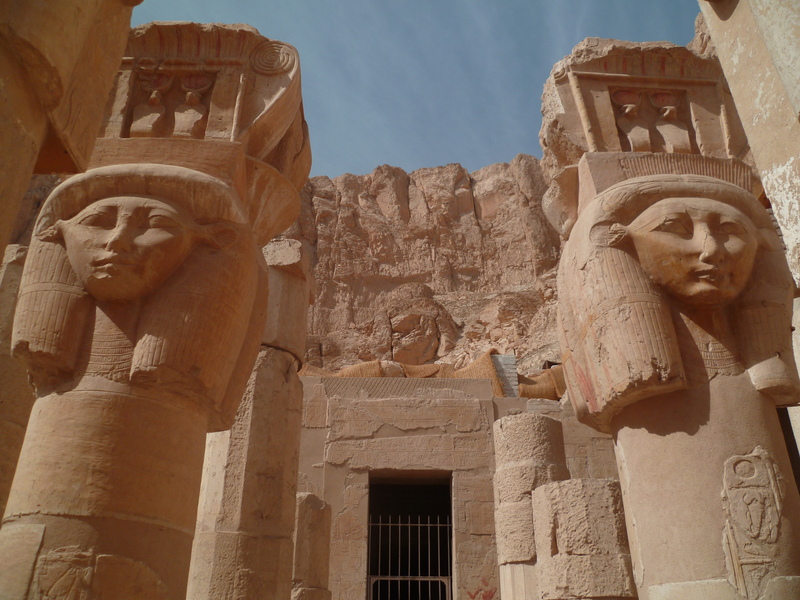 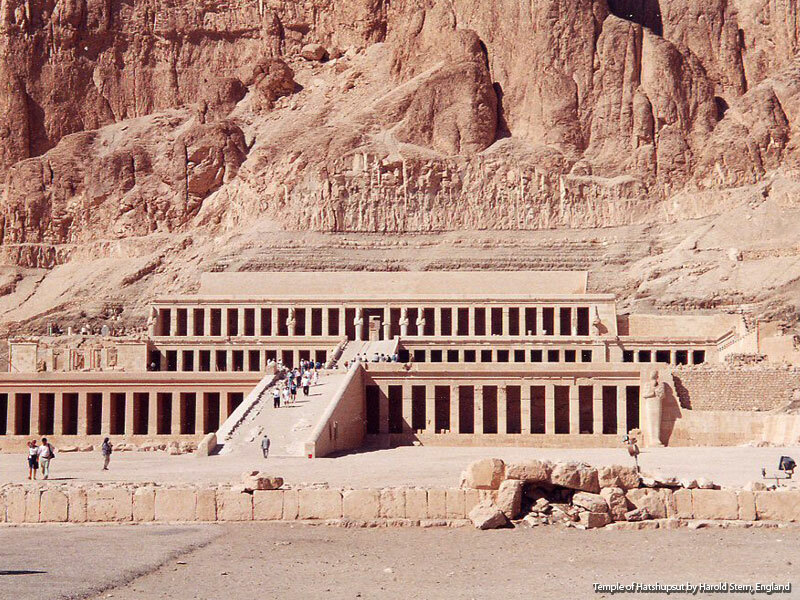 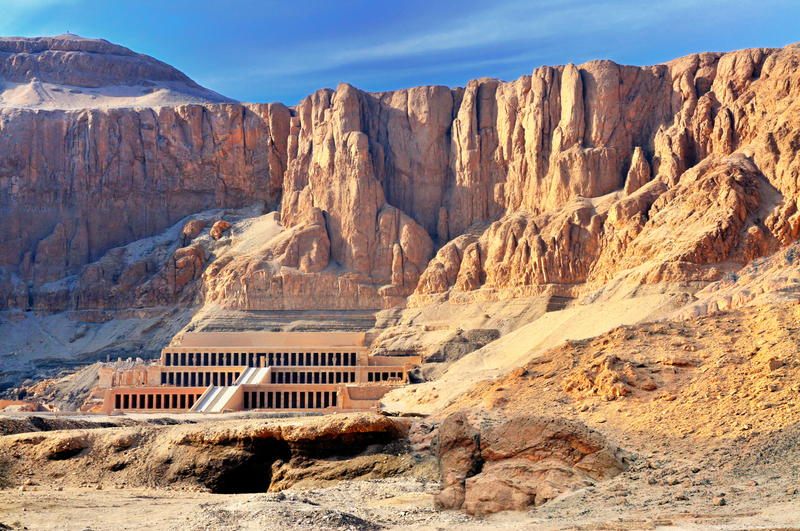 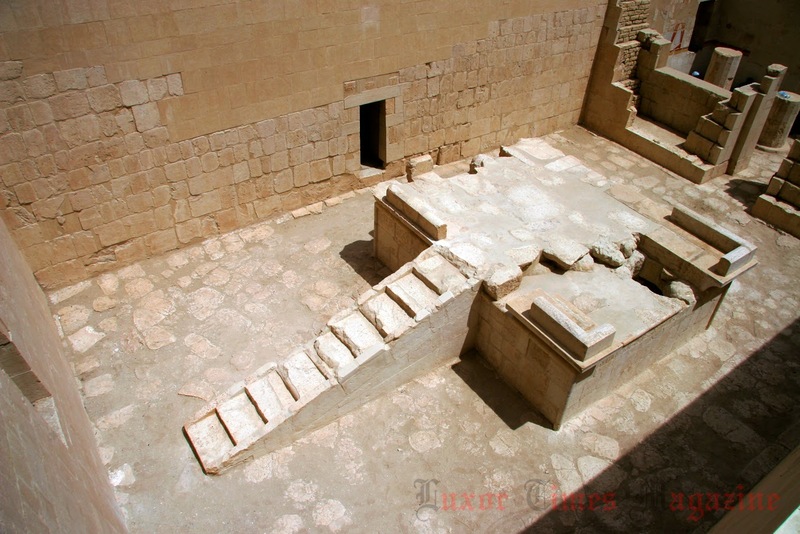 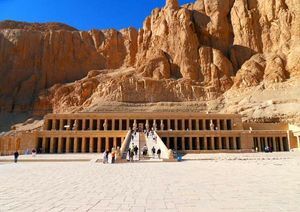 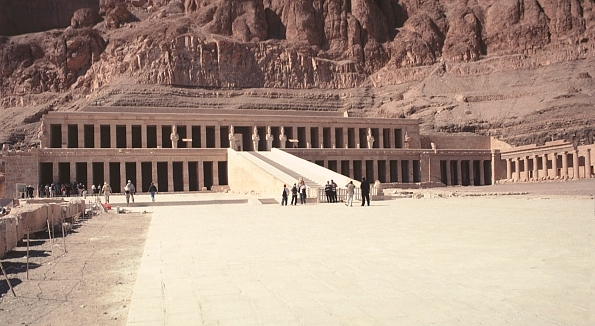 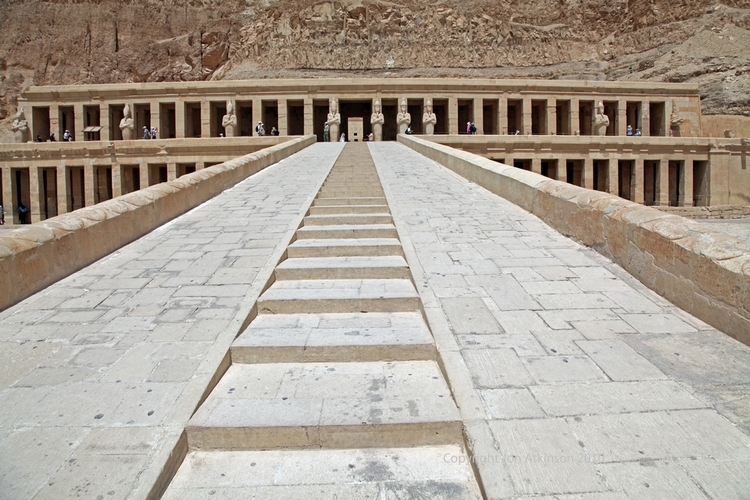 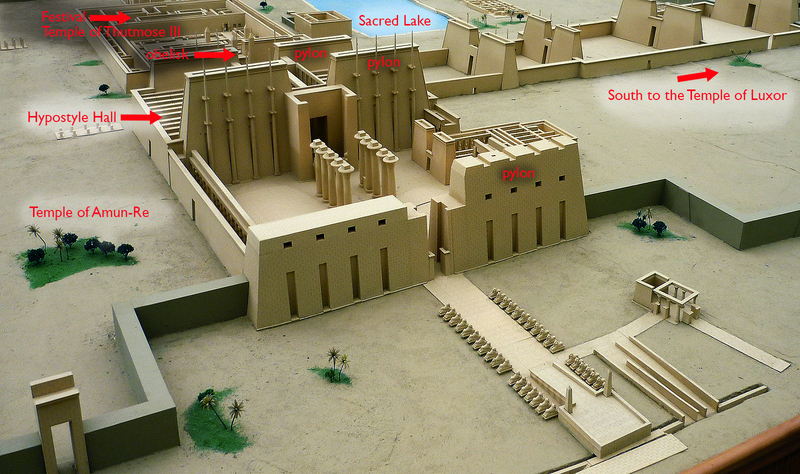 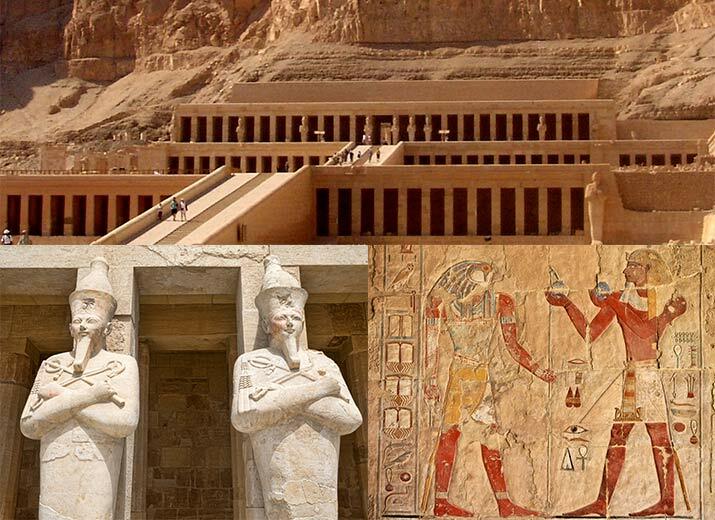 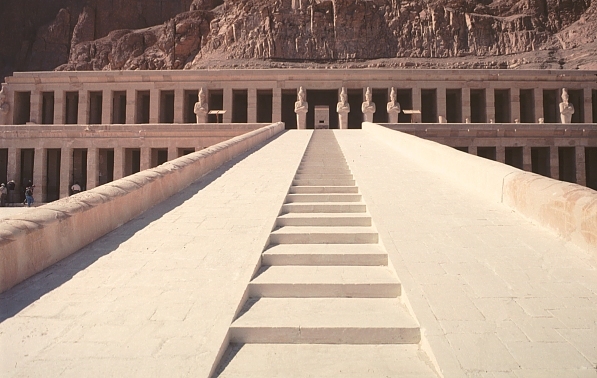 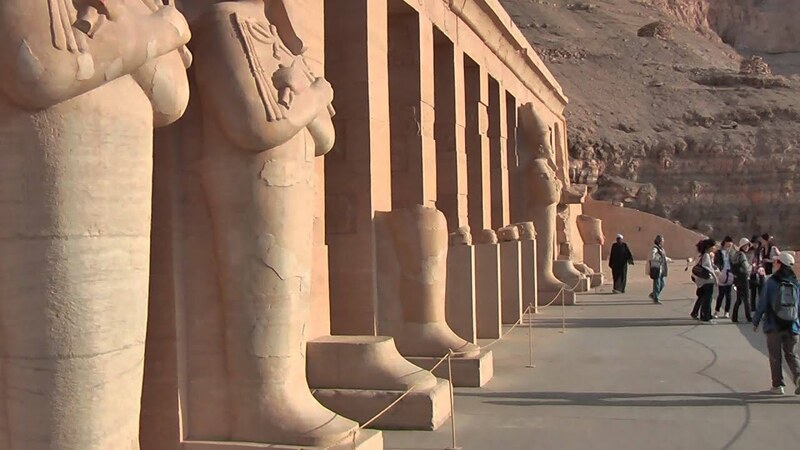 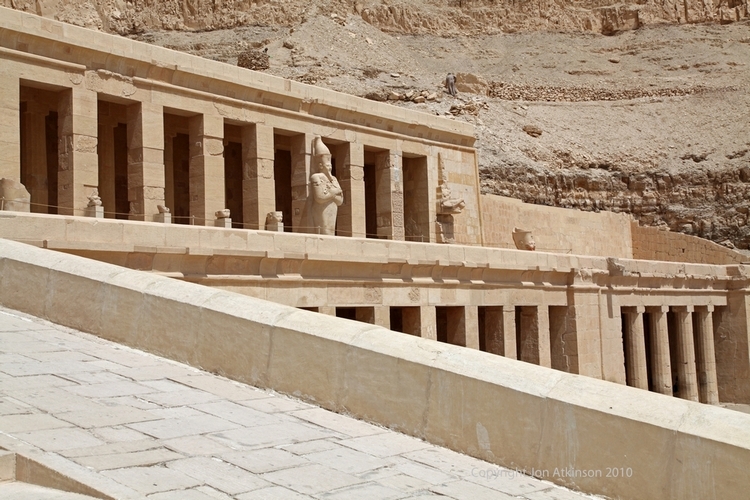 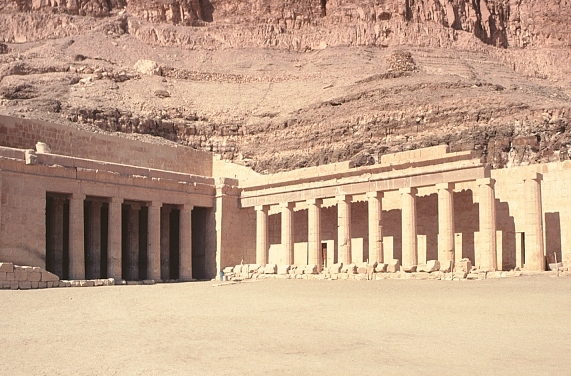 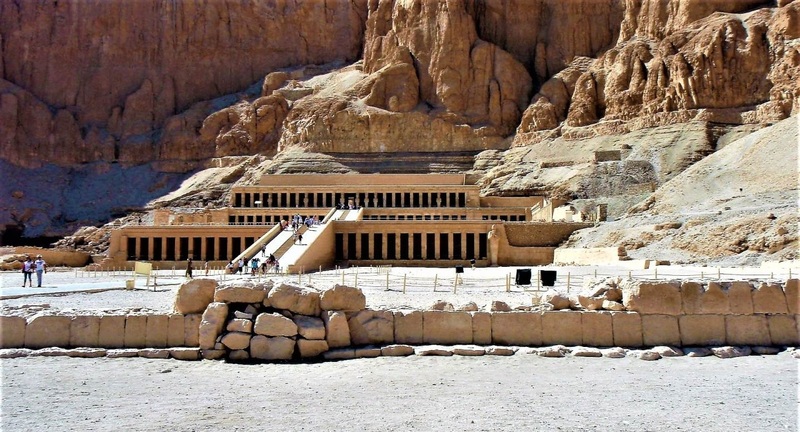 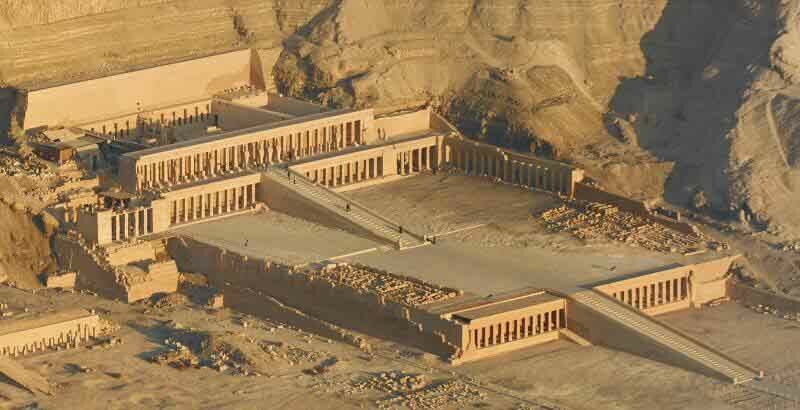 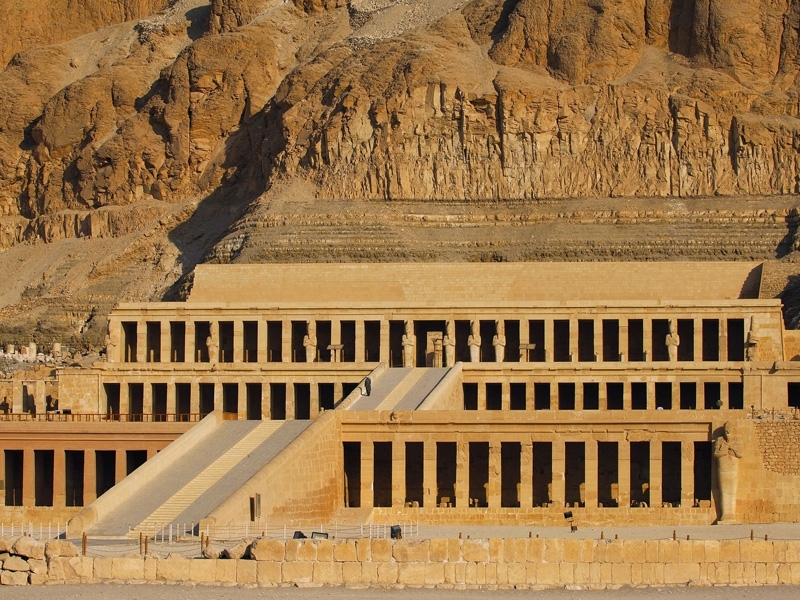 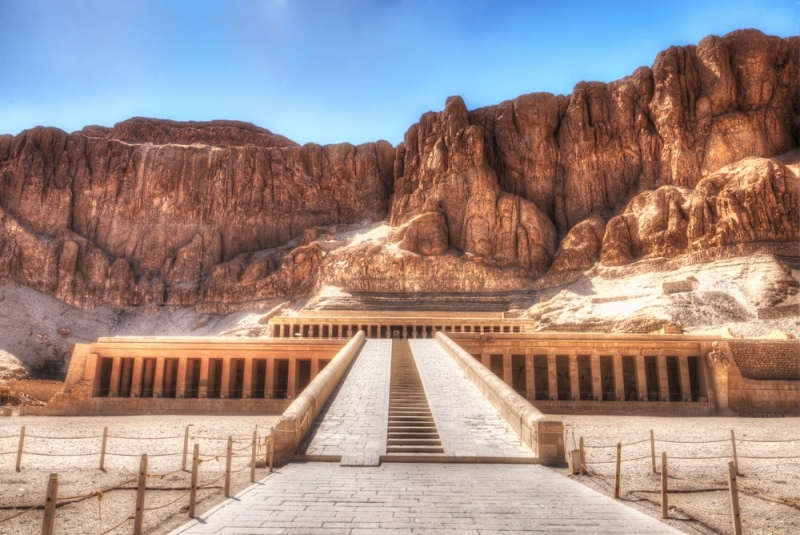 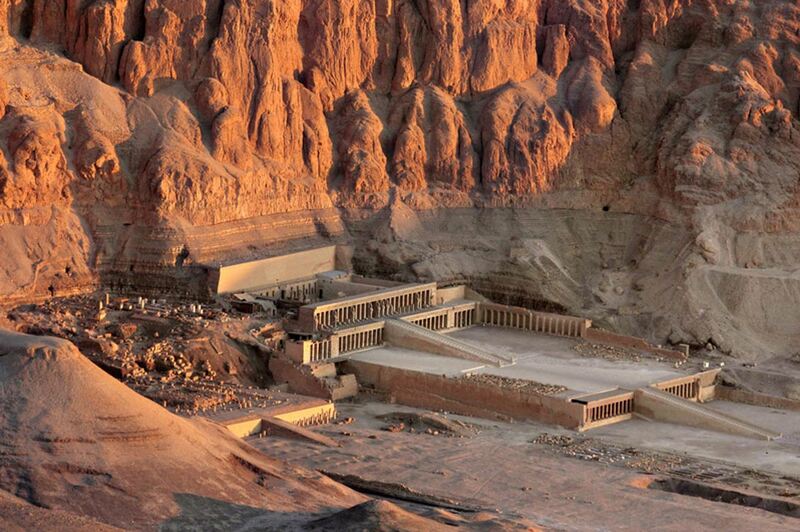 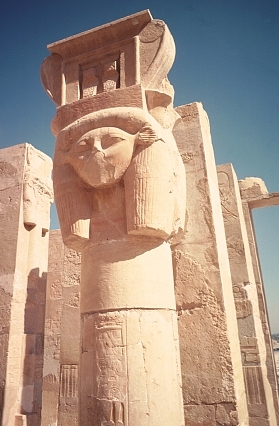 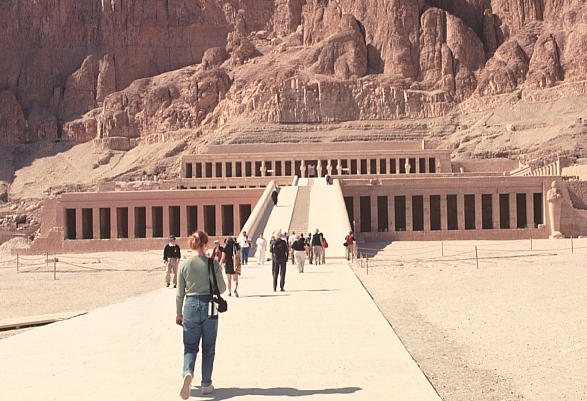 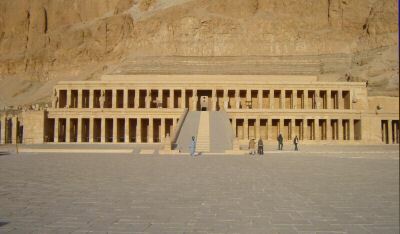 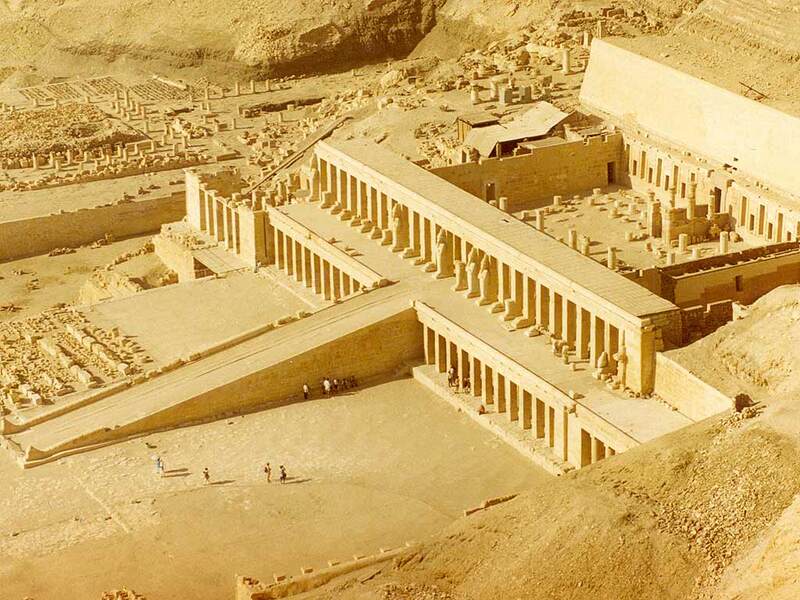 Hatshepsut's mortuary temple with the chapel of Hathor on the left. 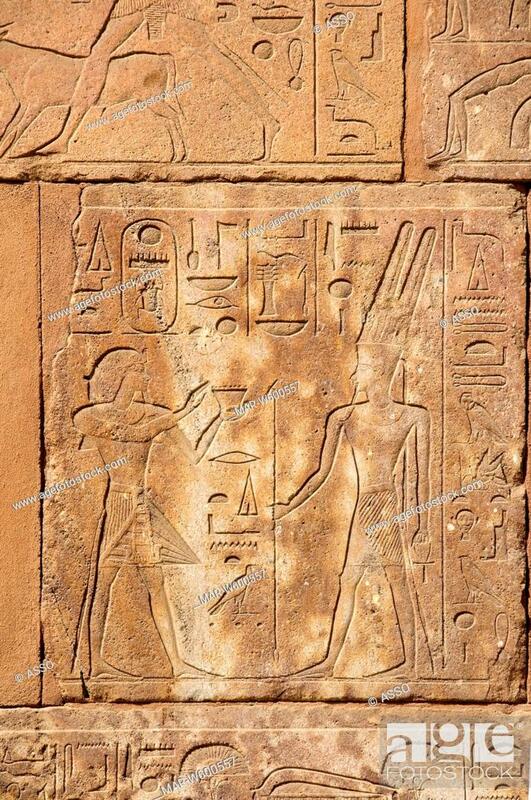 Copyright Eigene Aufnahm. " 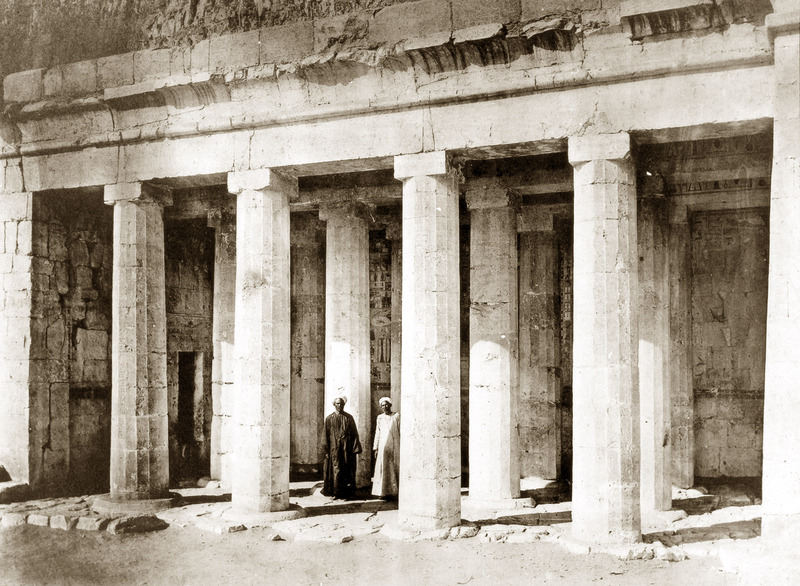 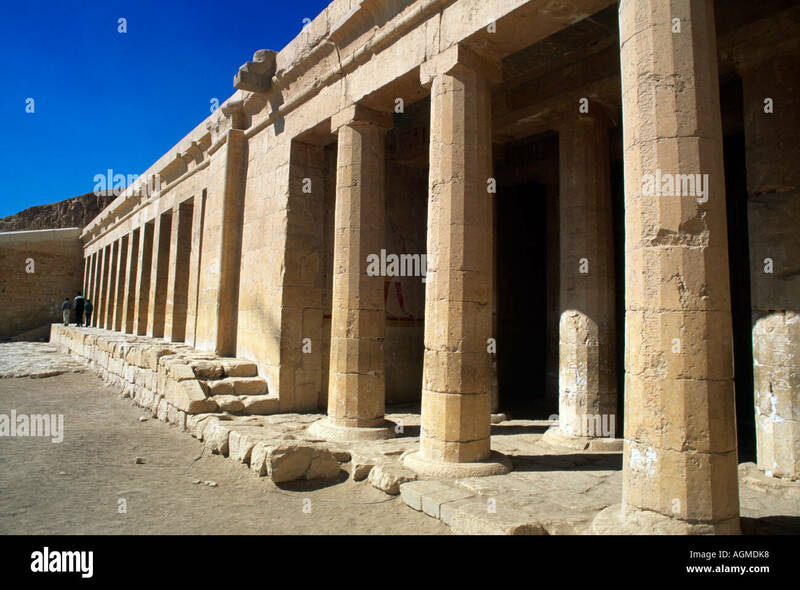 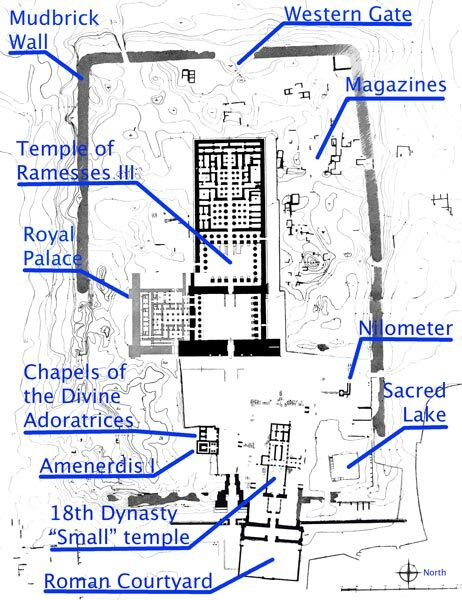 ... used in the rest of this temple.This room at the far north end of the second colonnade has twelve of these grooved columns with an astronomical ceiling. 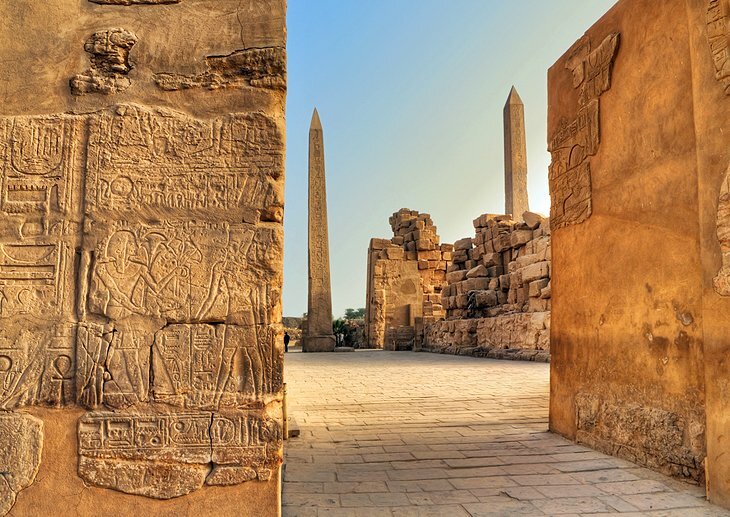 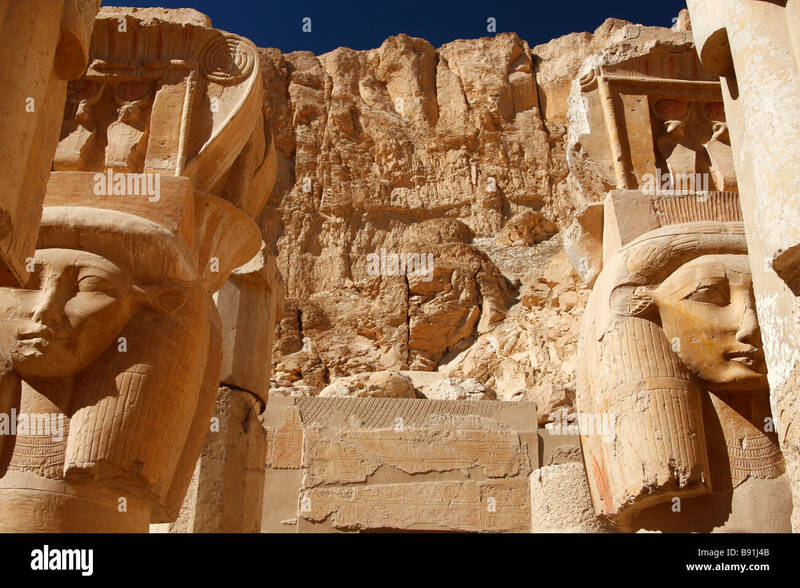 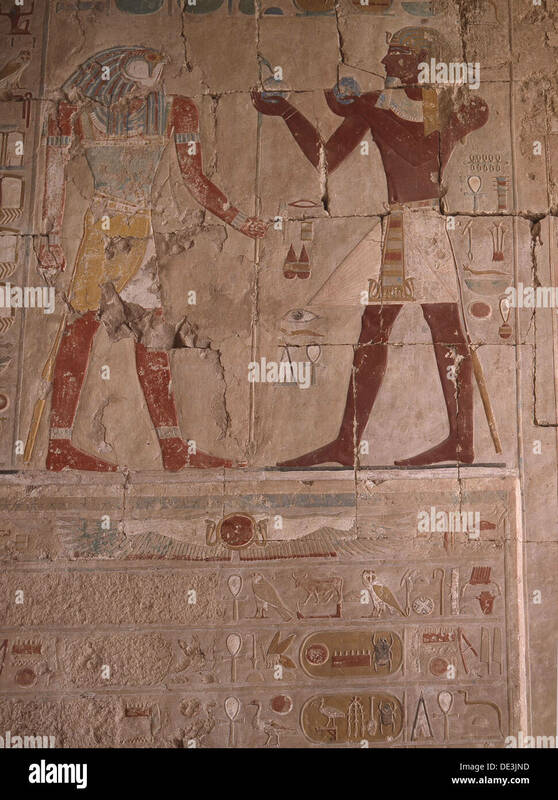 Amun Re and Queen Hatshepsut. 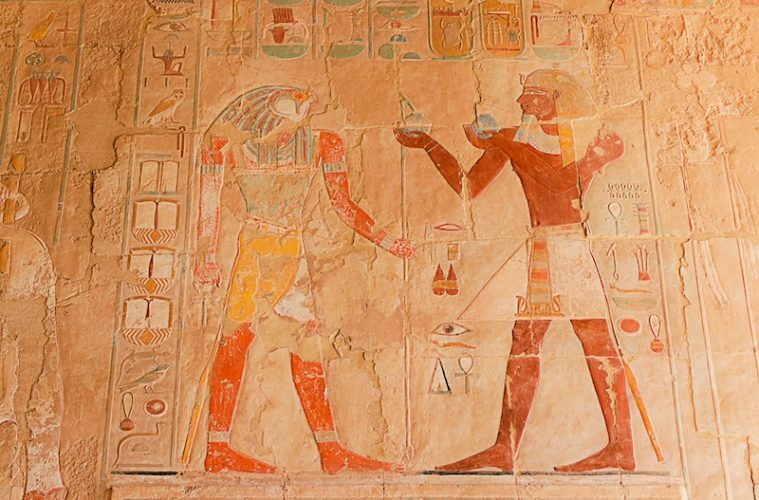 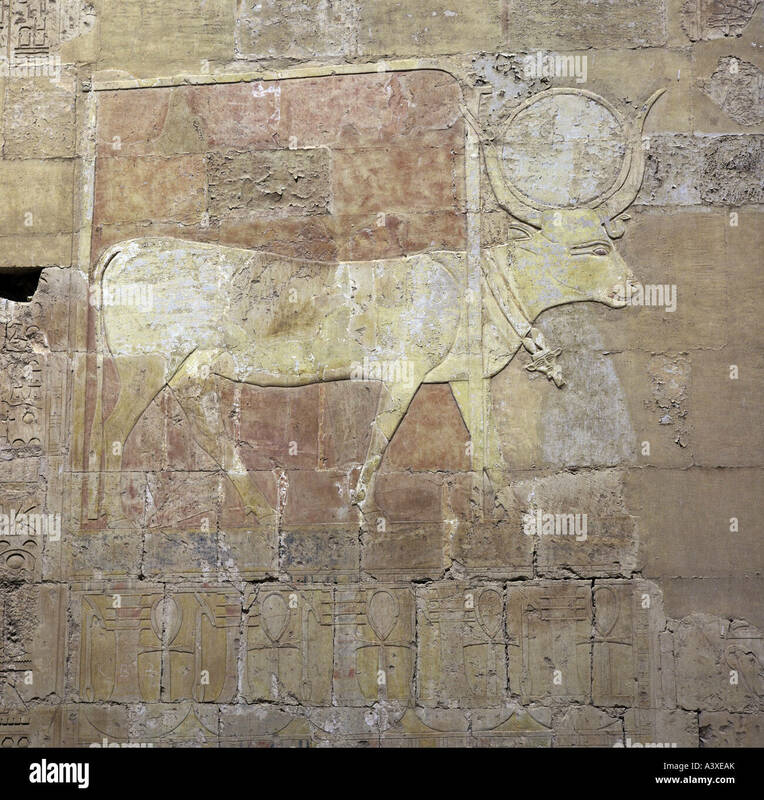 Relief in the Red Chapel of Hatshepsut in the Karnak Temple Complex in Luxor, Egypt. 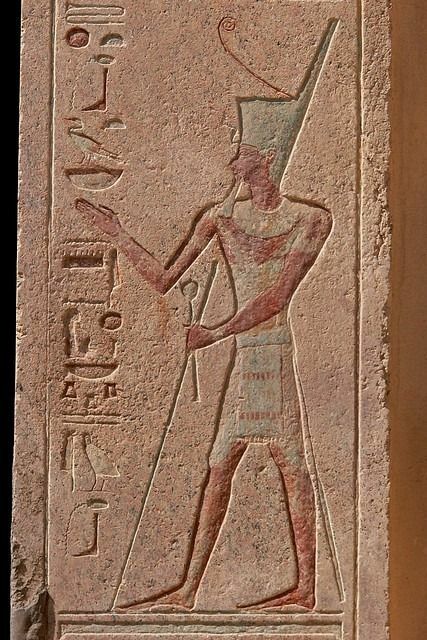 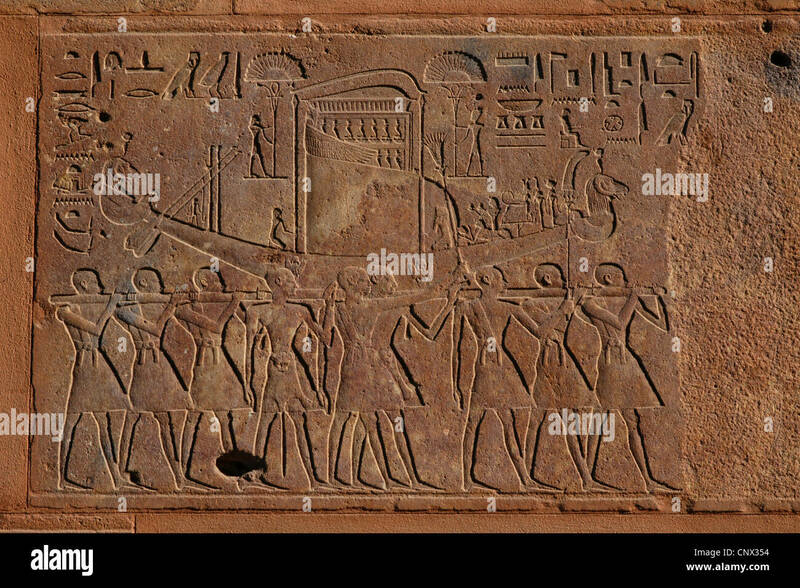 Relief in the Red Chapel of Queen Hatshepsut in the Karnak Temple Complex in Luxor, Egypt. 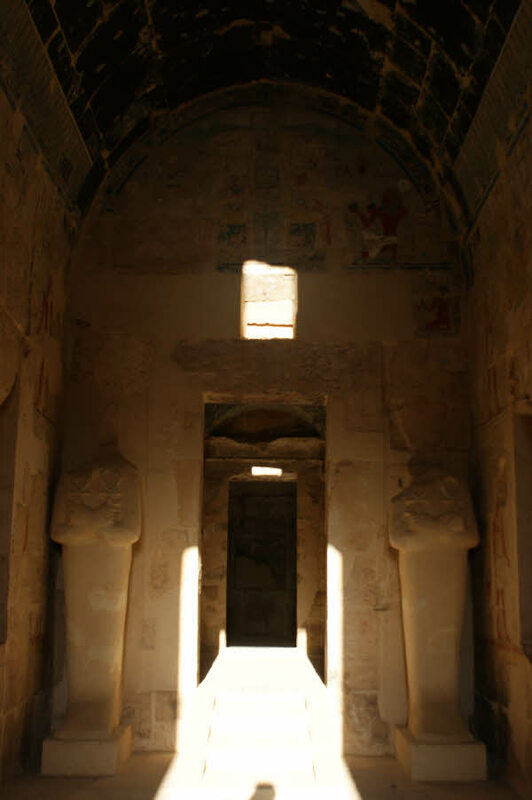 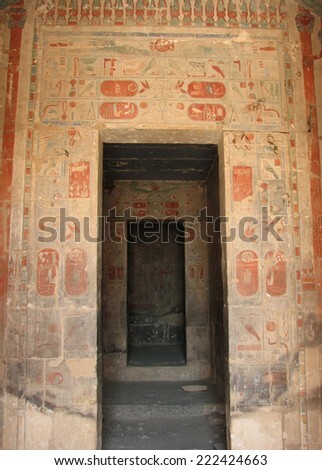 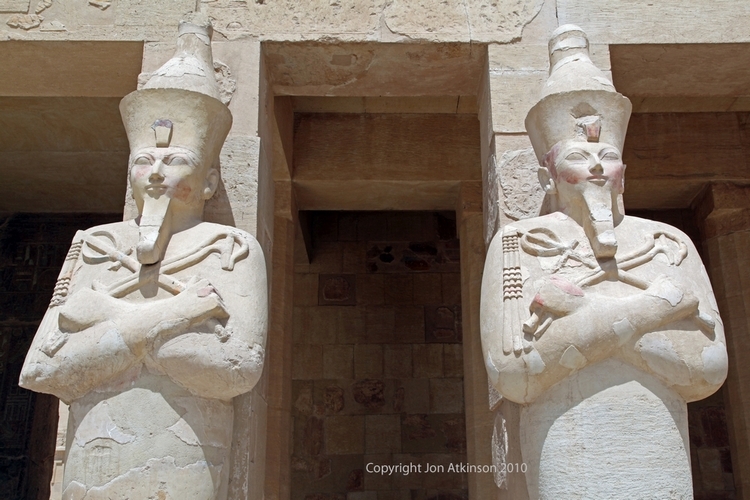 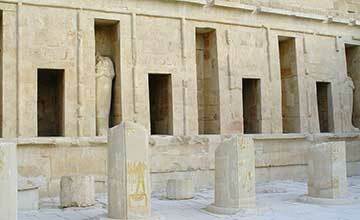 Detail doorway to chapel of Amun - Temple of Hatshepsut. 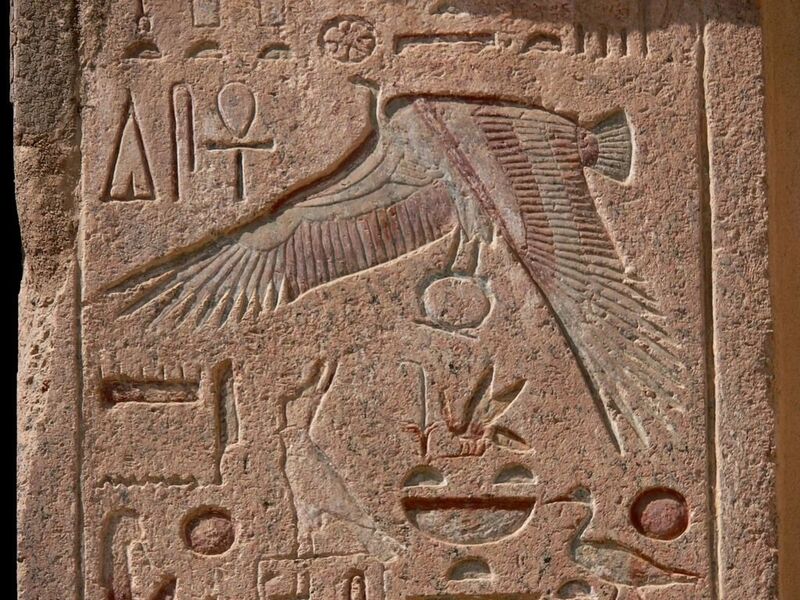 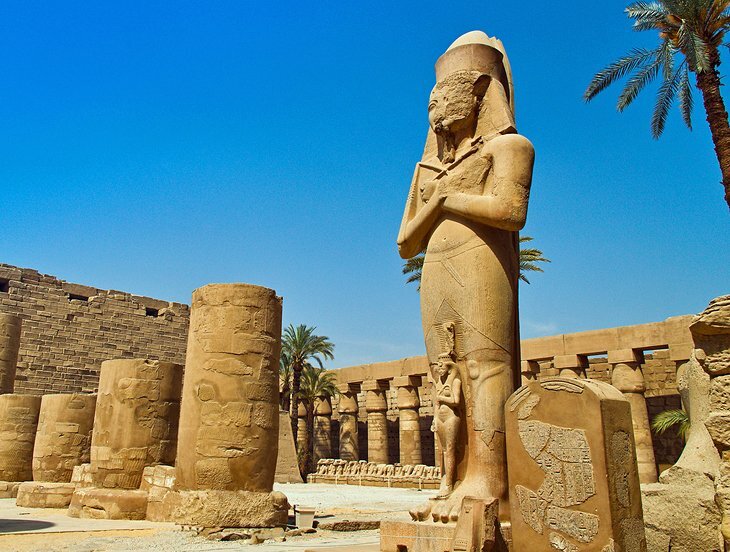 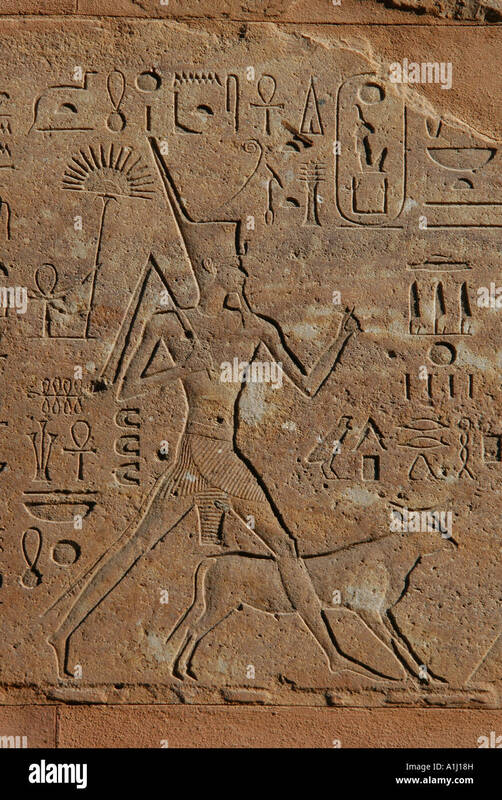 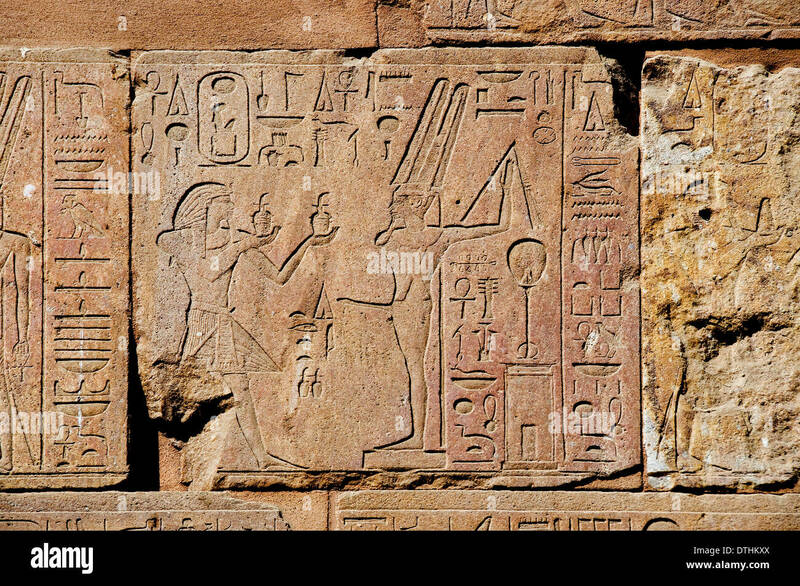 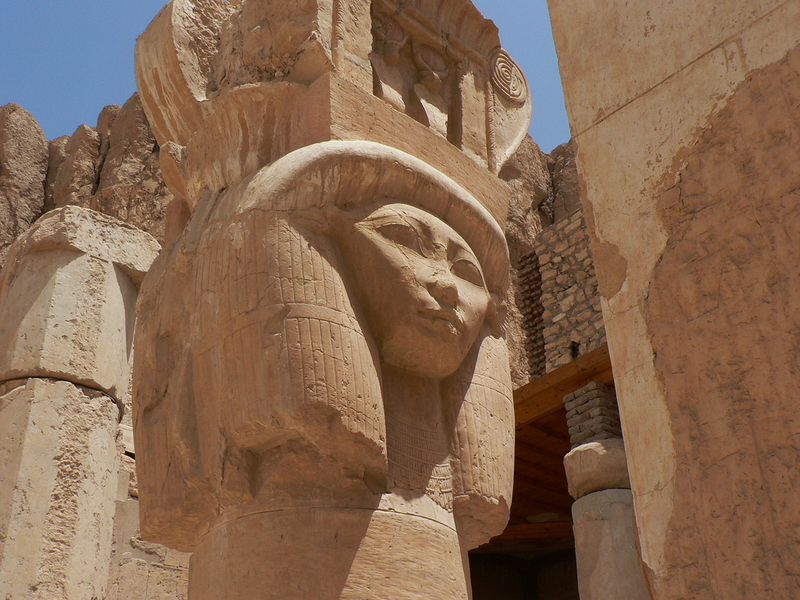 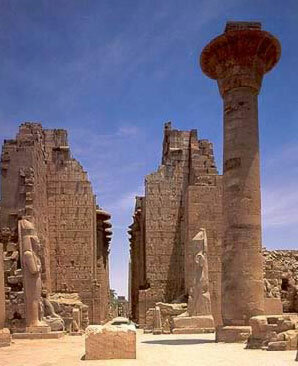 The detail here shows the vulture goddess Nekhebet a guardian of mothers and children. 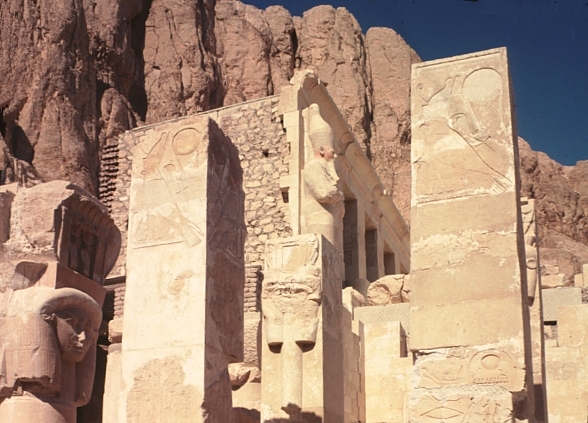 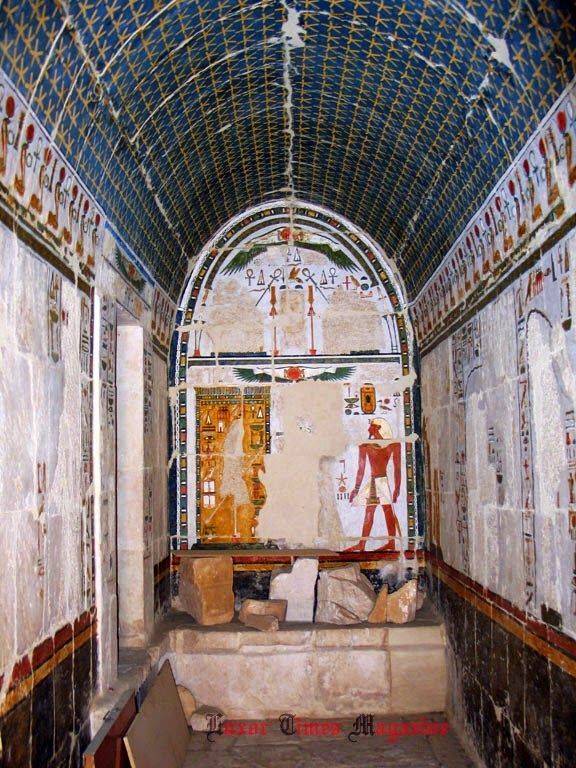 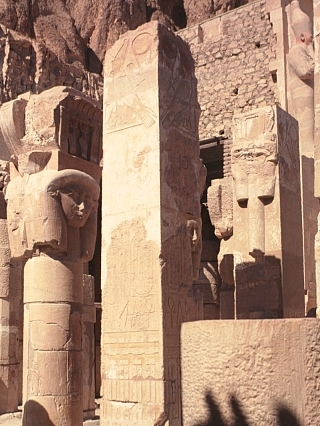 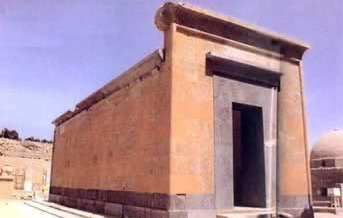 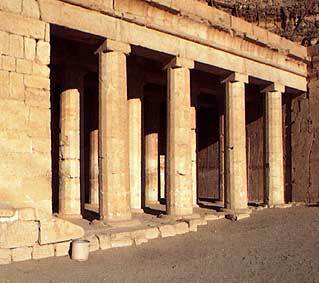 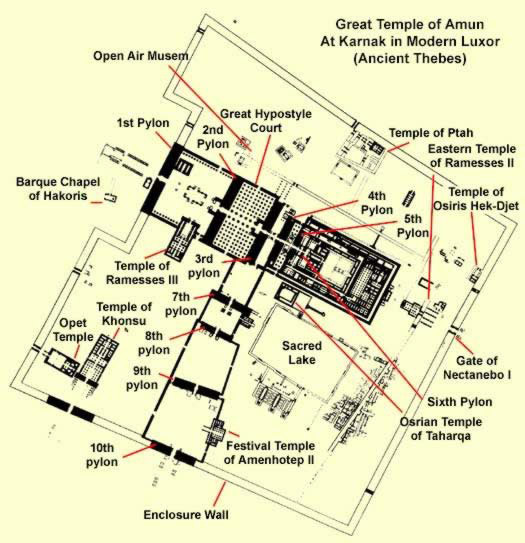 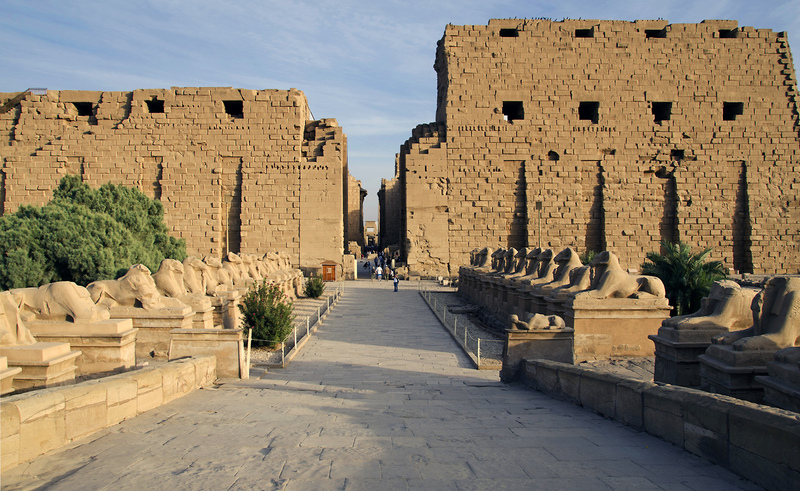 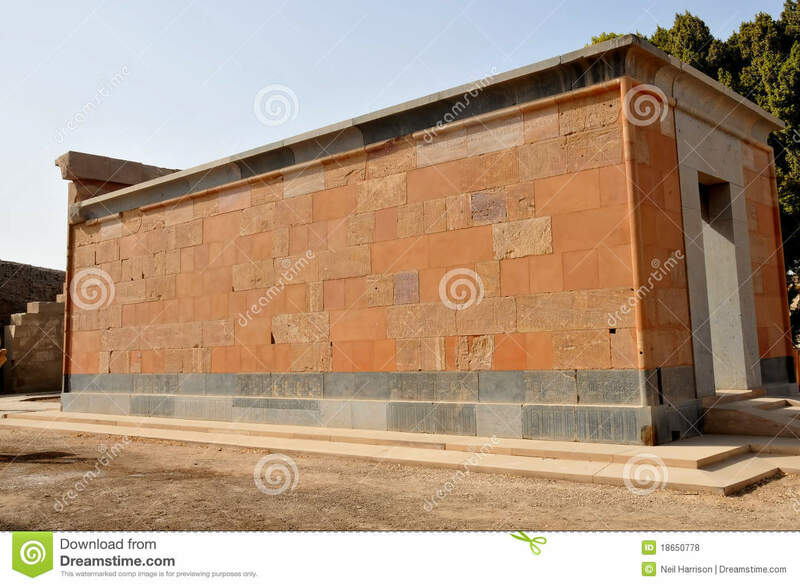 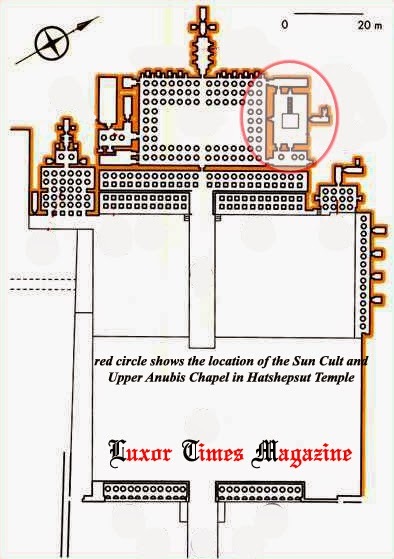 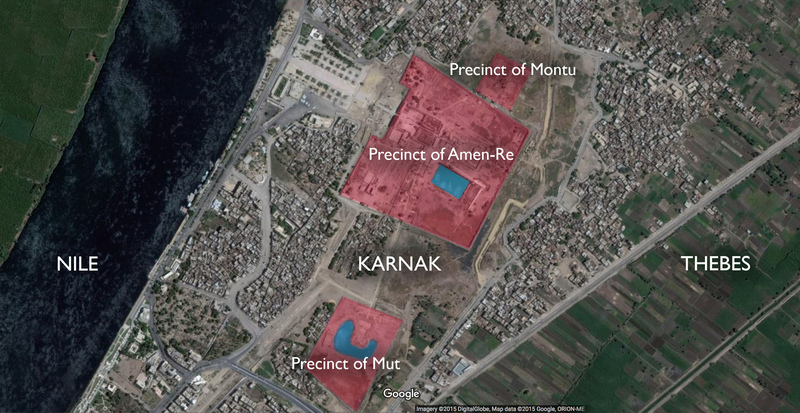 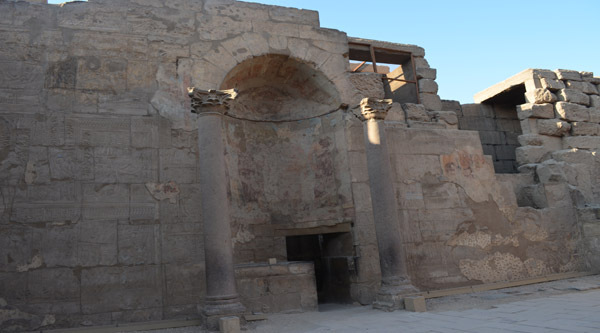 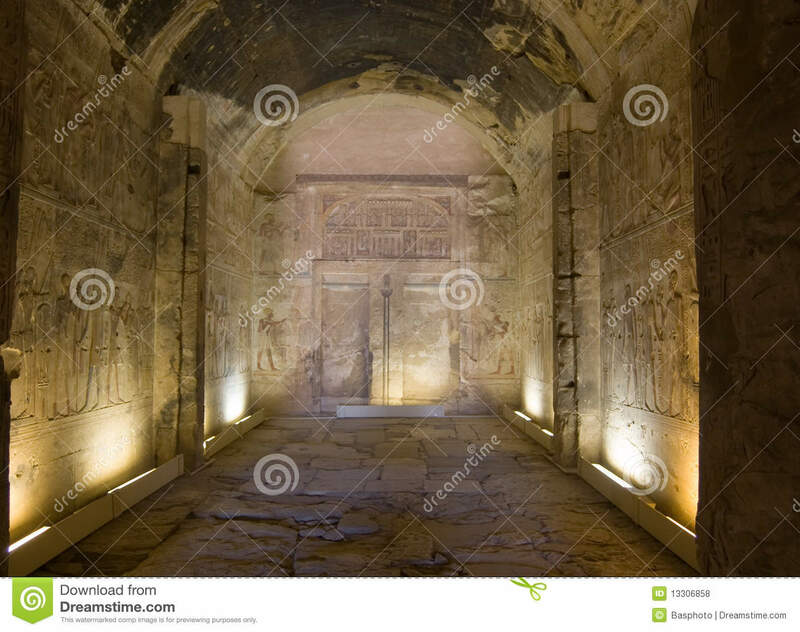 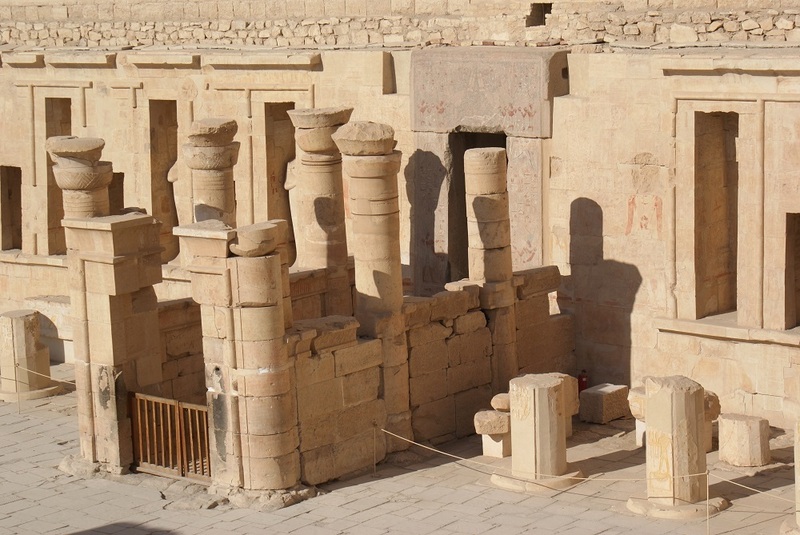 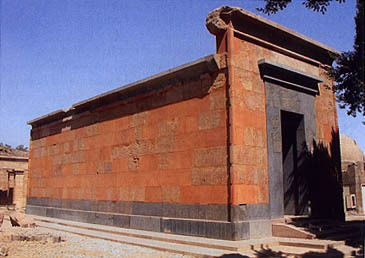 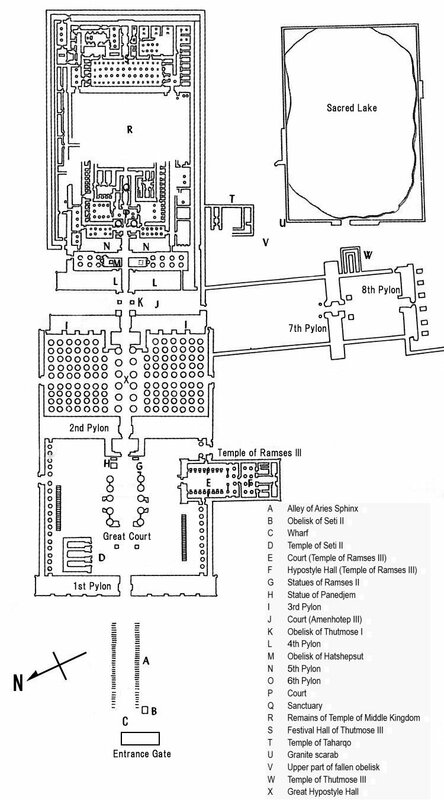 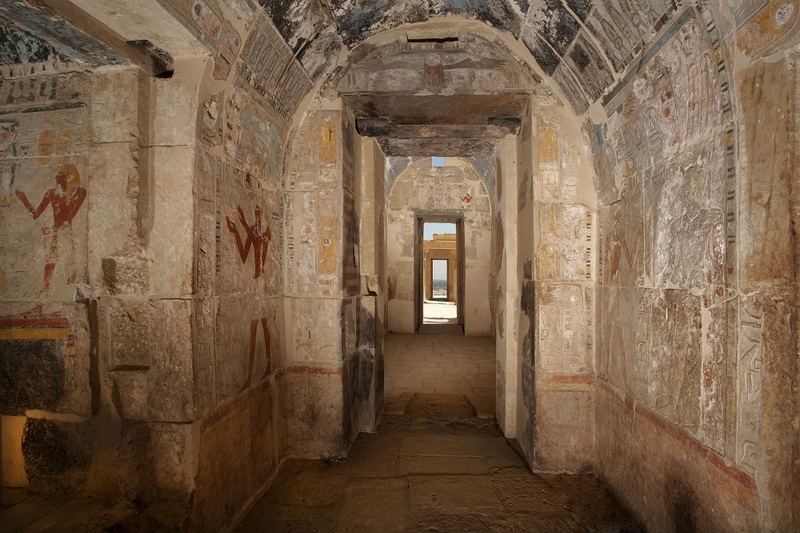 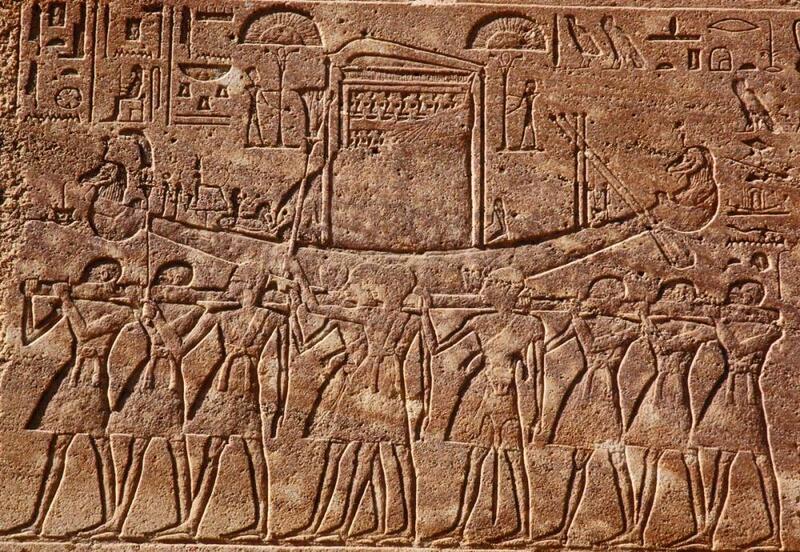 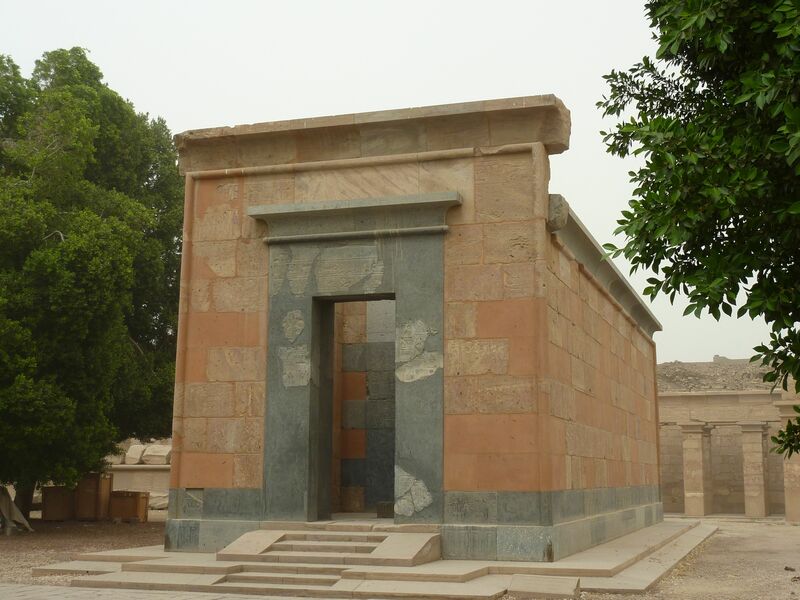 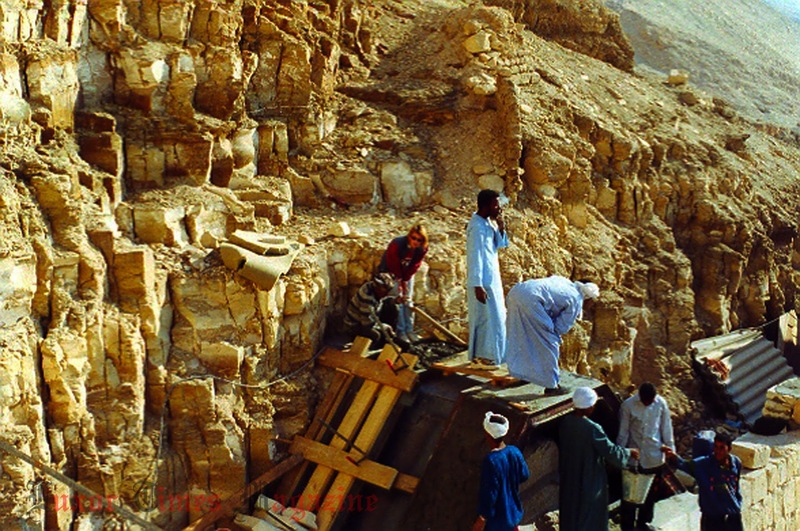 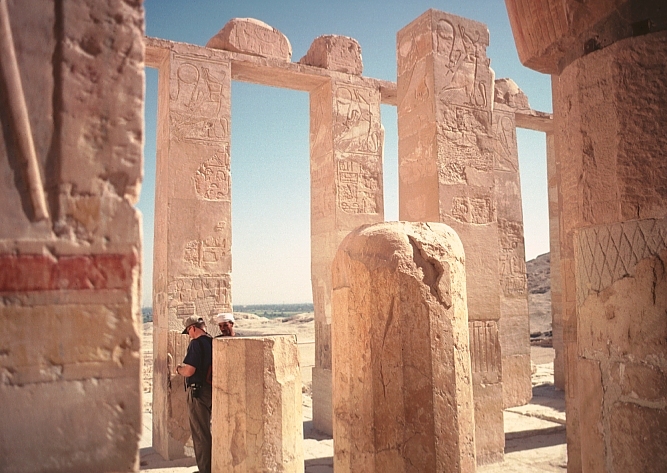 The Red Chapel, built by Hatshepsut, as a weigh station for the God Amun during festival rituals. 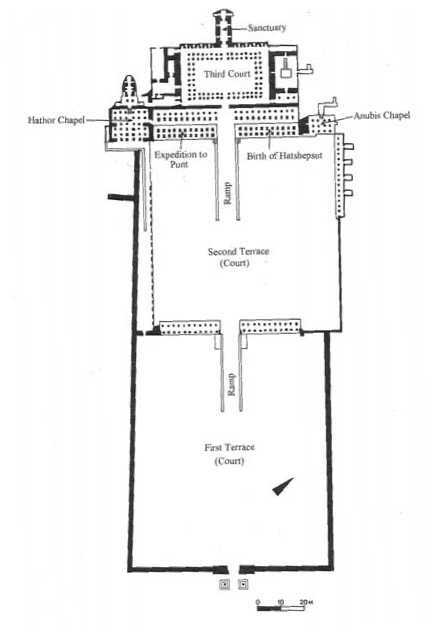 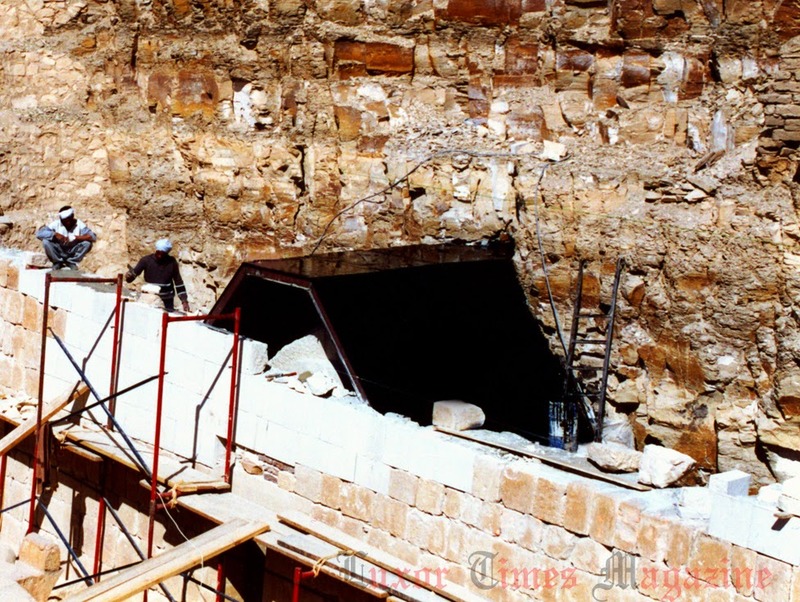 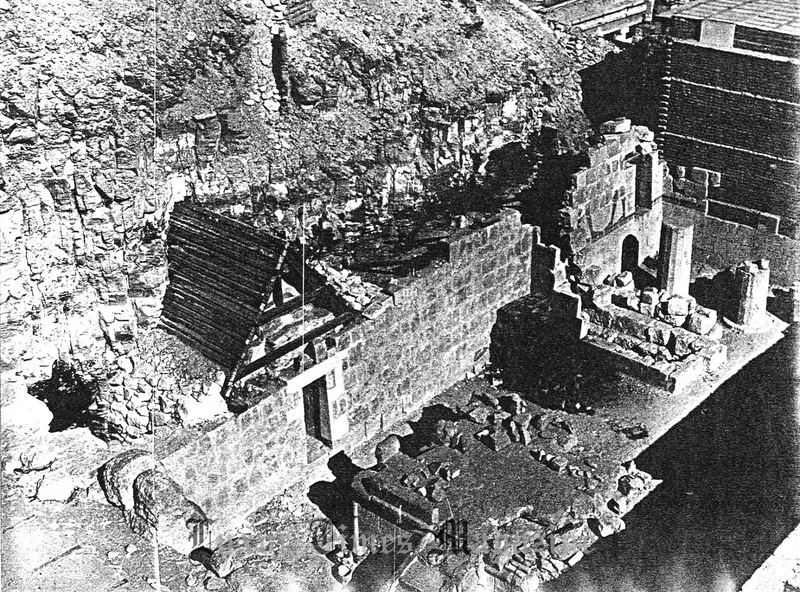 Under later Kings the chapel was disassembled. 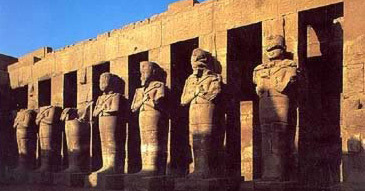 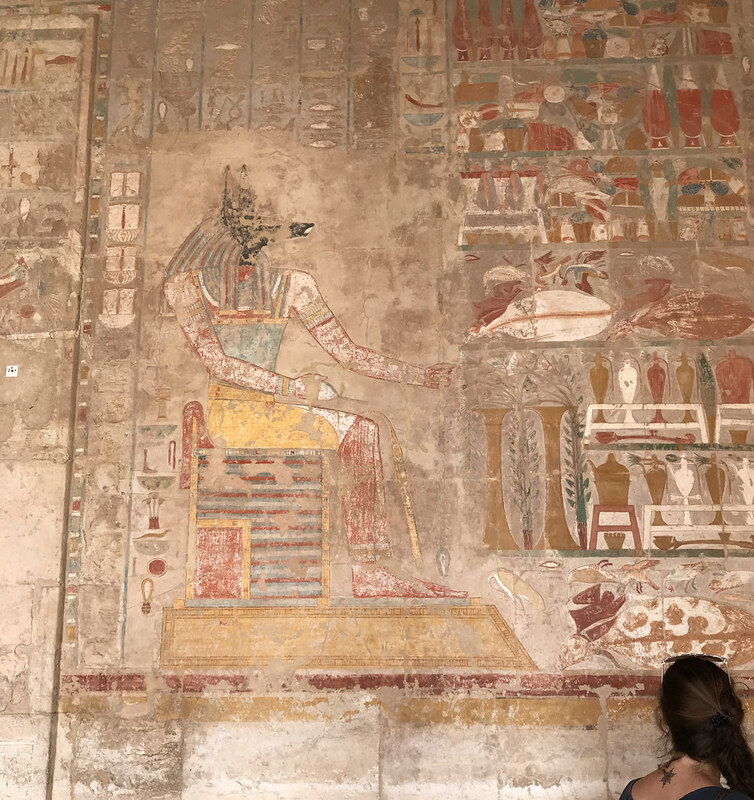 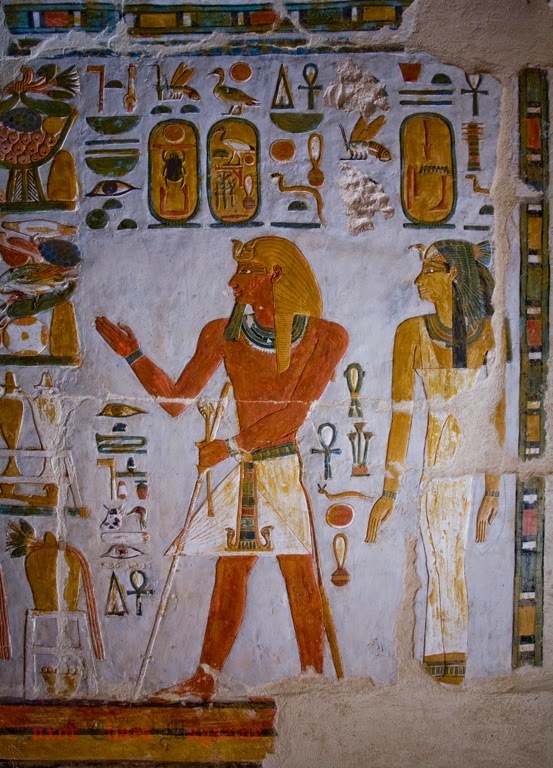 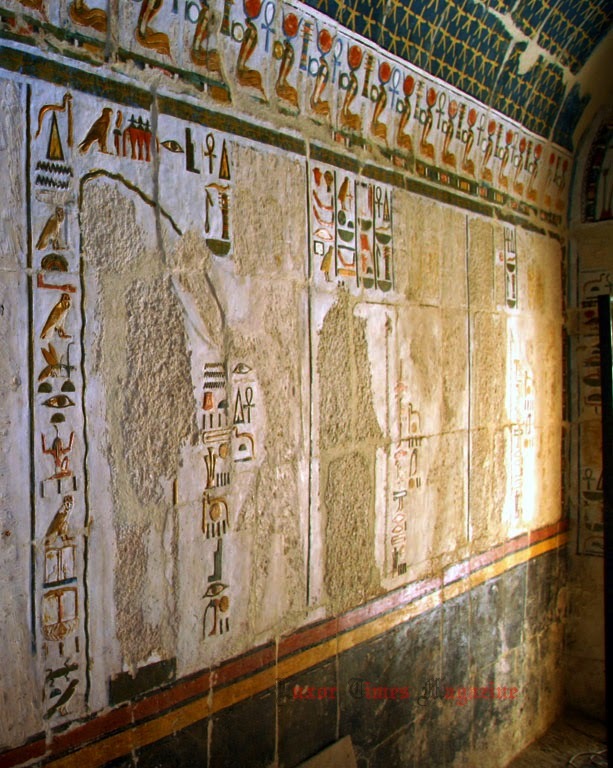 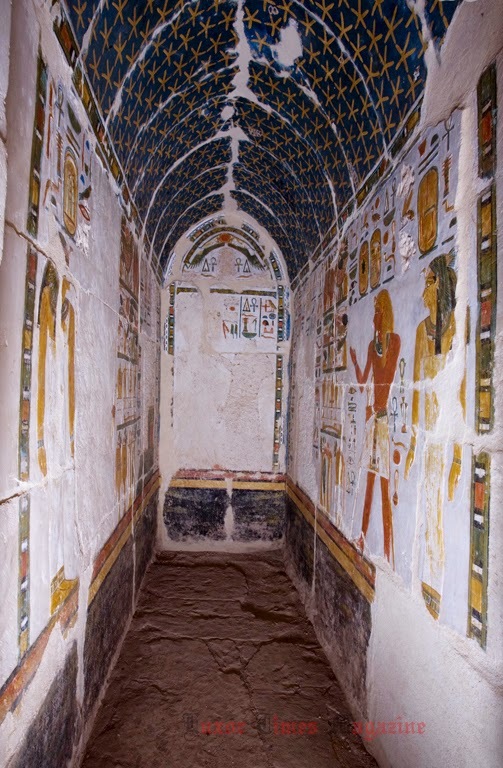 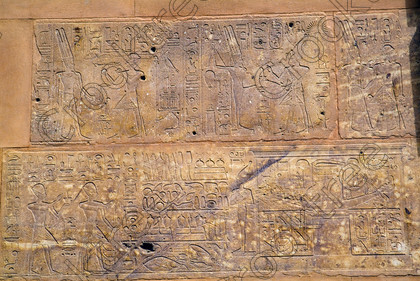 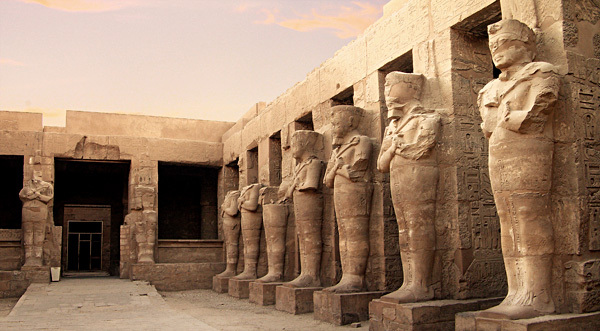 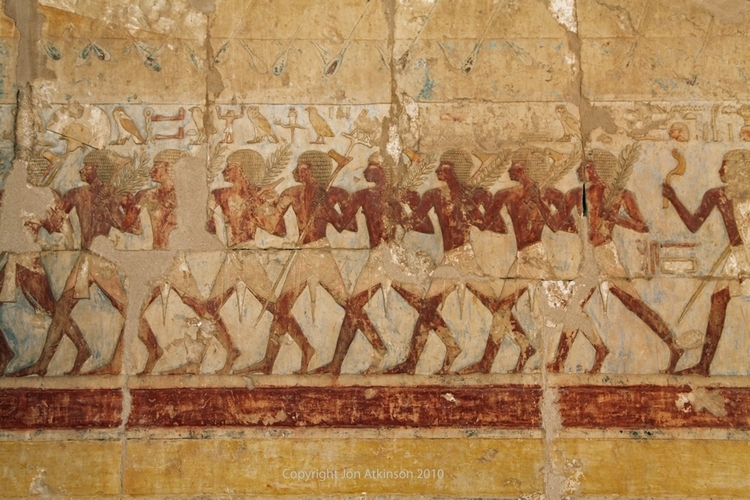 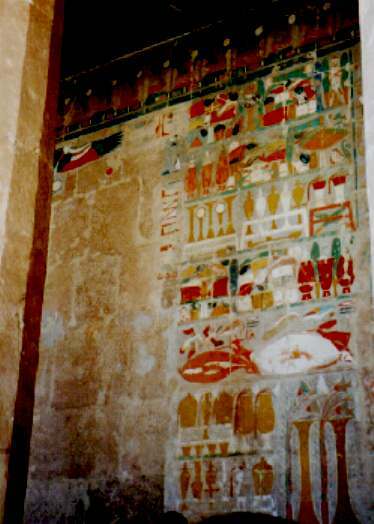 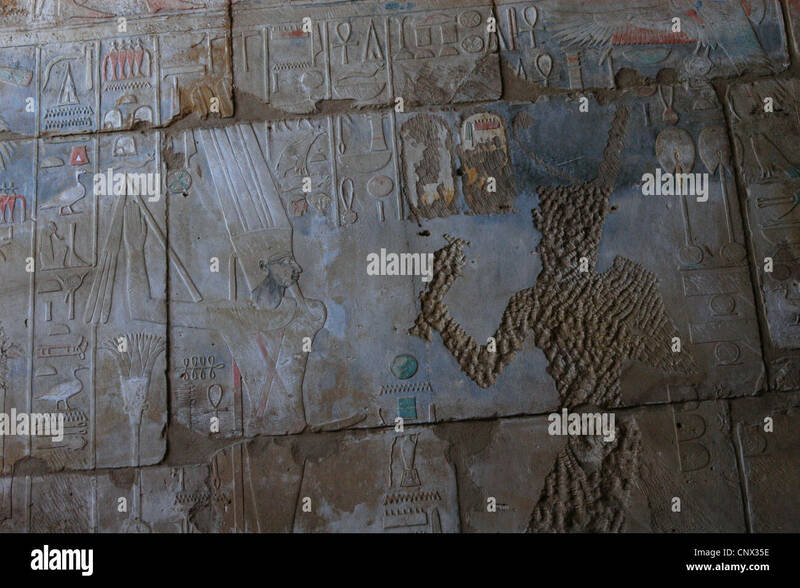 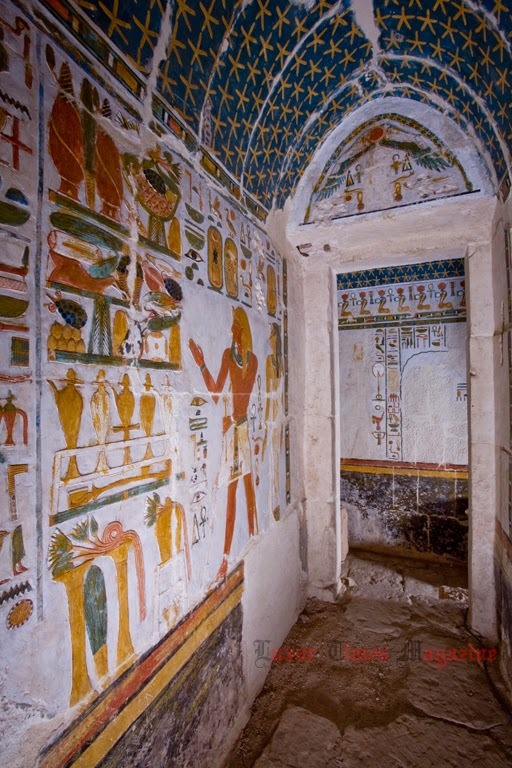 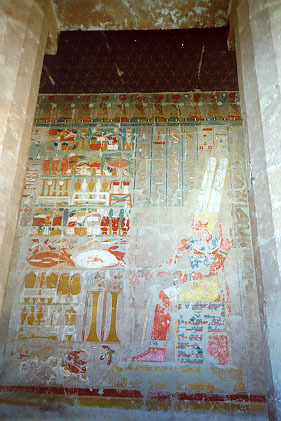 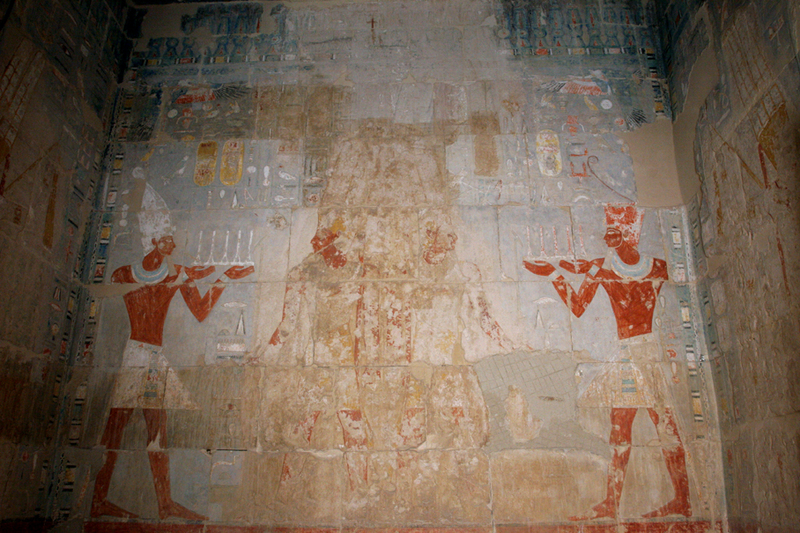 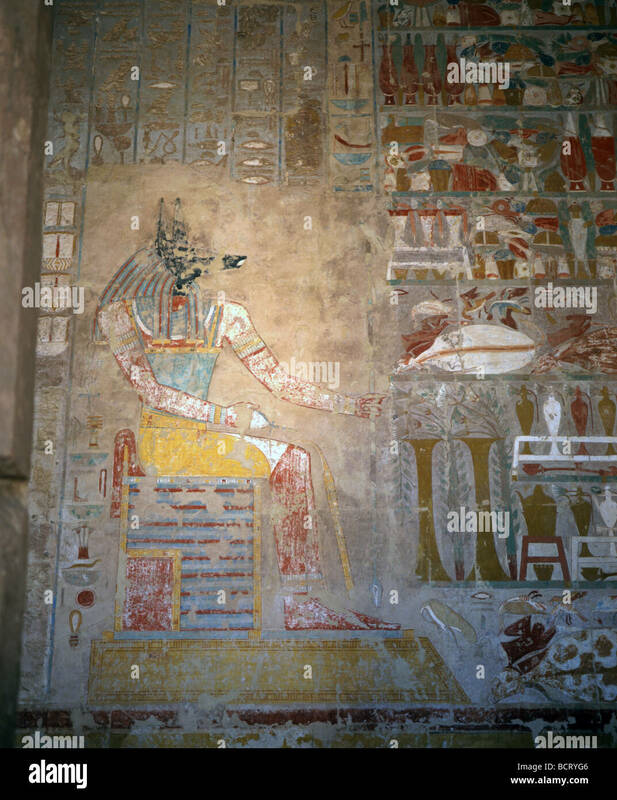 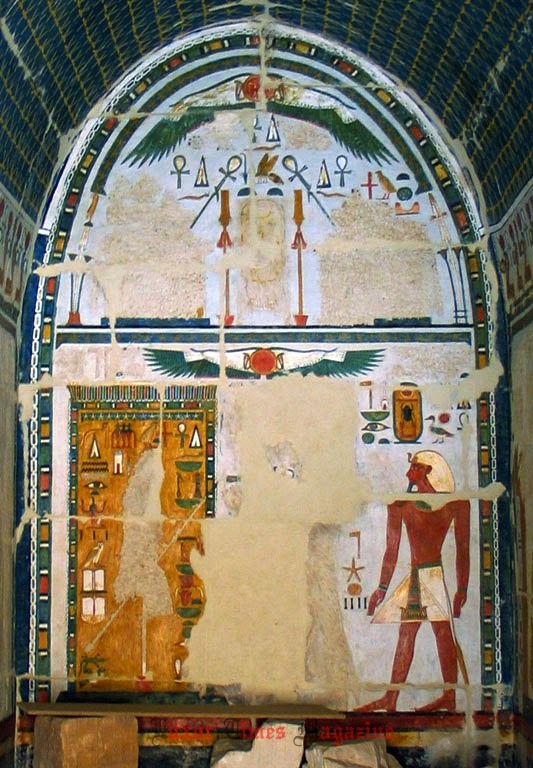 Several painted bas reliefs decorate the walls of the Chapel; the image on the right depicts the Queen's soldiers on parade in honor of the goddess Hathor.